This is an all-new story from Martin Archer. It is his longest and best. The action, political incorrectness, and wide-eyed innocence and ignorance is non-stop in this exciting medieval times novel. The Company's archers sail for Constantinople to join the fight against the Orthodox army attempting to re-establish the Byzantine Empire with the help of the Venetians. Richard arrives from England and takes his horse archers out to delay and harry the invaders. George returns from Rome and is wounded escaping an assassination attempt by the Venetians, his men work feverishly to strengthen the city's defenses, and an alchemist joins the Company. William, Henry, and Harold come out of retirement when the Company's retirees are summoned to help because every man is needed. 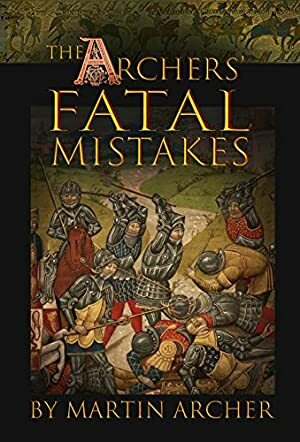 This is Martin Archer's greatest and longest story in the continuing saga of Cornwall's Company of Archers at the dawn of Britain's military supremacy and the rise of its great merchant companies. It is an action-packed tale with a sprinkling of Candide, Sancho Panza, and Flashman to reflect the realities and ignorances of medieval life. The first book in the series, "The Archer," is available on Amazon as an ebook, in print, as audio book, and as part of the a collection of the first six books of the saga entitled "The Archers Story: Part I." We started tracking this book on January 19, 2019. The current price of this book is £3.95 last checked 23 hours ago. We last verified the price of this book about 23 hours ago. At that time, the price was £3.95. This price is subject to change. The price displayed on the Amazon.co.uk website at the time of purchase is the price you will pay for this book. Please confirm the price before making any purchases.